Discover the vibrant spirit of Buenos Aires on this 4-night tour. 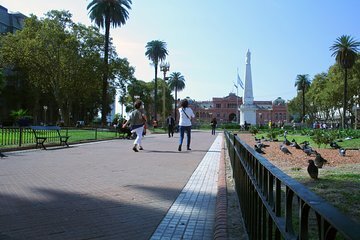 Embark on a half-day city tour that hits all the important landmarks as well as a half-day excursion to the peaceful Tigre Delta area. Attend a dynamic tango show, including dinner and a complimentary open bar, on a night out on the town. Airport transfers, nightly accommodation and breakfast each day are included. Every tour we took were well received, comfortable, and well paced. The tango dinner show was not only entertaining but educational. The program took us through the history of the dance. The hotel was centrally located, clean and friendly staff. individual attention, and made the tour.